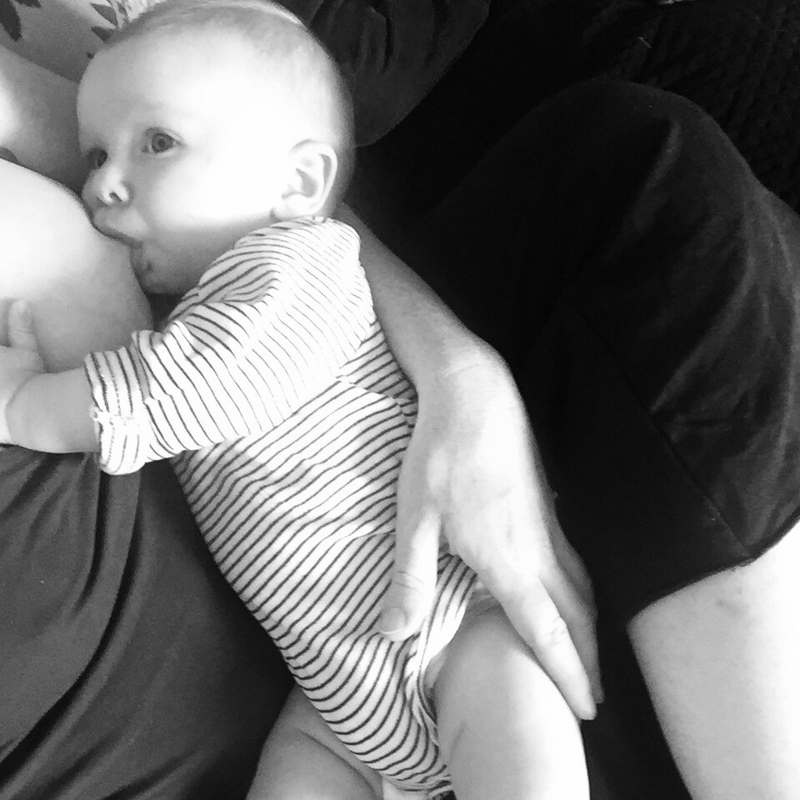 Probably the question that is most frequently asked by breastfeeding mothers during hot weather, is “does my breastfed baby need water?,” and the simple answer is No, not if they are exclusively breastfed. Breastmilk is 88% water so will supply all of an exclusively breastfed baby’s fluid needs during hot weather. It is a living fluid which is constantly changing to meets your baby’s needs, even in response to the weather! Giving water to exclusively breastfed babies can also interfere with breastfeeding. If a baby fills up with water, this will mean less breastfeeding and fewer calories, and this could in turn negatively impact on the mother’s milk supply. What exclusively breastfed babies may need during hot weather, however, is more frequent, shorter feeds. In the same way that we drink more fluids more often during hot weather, babies may need to come to the breast more often for short feeds to quench their thirst. So think in terms of giving your baby little snacky feeds throughout the day, in addition to longer feeds. And keep yourself hydrated! Hot weather plus extra breastfeeding means you will have to increase your fluid intake. So just have a drink to hand whenever you are feeding and drink to thirst. Older babies who have started solids, can be given extra drinks of water between breastfeeds, in addition to some extra feeding at the breast. To ensure that your baby is getting enough milk and is adequately hydrated keep an eye on nappies – dark coloured urine that smells of ammonia is an indication that baby is dehydrated and needs more breastmilk. You also want to see that your baby is happy and alert and interested in feeding. If you have any concerns about your baby, don’t hesitate to seek medical advice.